Our ambassadors are players from various backgrounds who love their TOKAY and want to share their experience. Contact them, they’ll be happy to answer your questions about feet and cleats. Navigate the map to discover who they are. If you want to join the program, this is the way! In order to produce the best cleats possible, we assembled an international team of high level players to be involved in the project. Started playing in 2008 at the age of 8 together with her twin sister Manuela. 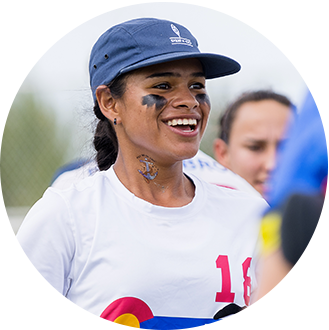 The twins first represented Colombia at the WJUC 2012, at the age of 13, where the team won gold. Her international experience with her club and national teams have made Valeria a well-rounded talent and a particularly lethal thrower. She won a silver medal at both WUGC 2016 and the World Games 2017. 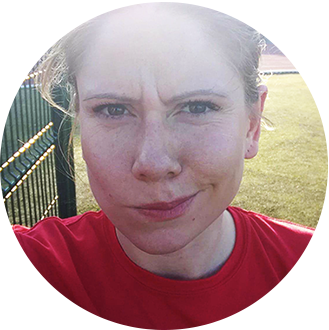 Starting at university in 2006, Foord has played in the UK and Canada (including a season in the AUDL with Toronto RUSH). Foord has enjoyed great success with Clapham since joining in 2008, winning 10 consecutive national titles and 6 EUCF finals. He also medaled frequently with the GB men’s team: winning a silver at WUGC 2012, gold at EUC 2015, and silver at WCBU 2017. I’ve never had cleats that have been so comfortable on the first occasion i’ve worn them. A lot of Nike cleats I’ve had previously have taken 3-4 trainings to get probably worn in. I’ve been wearing the TOKAY cleats for about 5 months and there are zero signs of any wear and tear. For me, the TOKAYs perform best on slightly firmer surfaces, particular 3G/4G rubber crumb fields and the protection on the big toe when turning is far above that of any previous cleats. I’d strongly recommend at least trying on a pair of TOKAYs when you next get the opportunity. Matsuno started playing in college. Through his drive to improve and repetitive practice, Matsuno eventually found himself hooked on ultimate, and a talented player to boot. His best ultimate memory is WUCC 2010 in which the Buzz Bullets finished third and Masahiro led the tournament in goals and assists. He then lead the 2016 Japanese Men’s team to their second place finish in an impressive final at WUGC. Started playing in 2008 at the age of 8 together with her twin sister Valeria. The twins first represented Colombia at 13 at WJUC 2012 where they won gold. 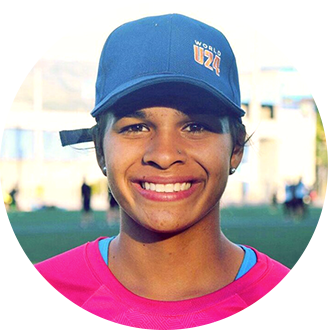 Manuela has continued playing at the highest international level with her club (winning the US Open 2017) and national teams (including a silver finish at both WUGC 2016 and the World Games 2017), allowing her to develop into a huge defensive threat. She won bronze at the 2017 US Nationals with Molly Brown. Starting in 1998 after his sister introduced him to the sport, Garros has trained in the UK, Canada and France. Playing on the junior team in 2001, Garros later made the mixed team (WUGC 2008) and open team (EUC 2015, WUGC 2016). He has more recently transitioned into coaching, and his club Tchac is reaping the benefits with a third place at EUCF 2016. After 2 months of use, I am very happy with my new pair of TOKAY, the comfort and the quality of the materials are here as well as the support. I dreaded this point because I have a fairly thin foot and I wear orthopedic insoles, but they adapted really well into the shoes. I am conquered by the lightness, cuts are fluid and after a few minutes I did not even feel like I was wearing brand new shoes. The level of grip and responsiveness is excellent, I am also very satisfied with the stability, which counts a lot in my handling movements. For the moment I play exclusively on the turf, they are very well adapted for that, I can not wait to see them at work on grass! 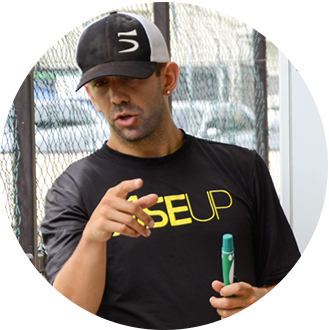 Mario O’Brien is the Producer and Creative Director of RISE UP, Ultimate’s only professional instructional video series. He first started playing at the end of his second year of university and has accumulated an incredibly impressive resume since, both as a player (recently finishing first with the USA men’s team at WCBU 2017) and as a leader. Not sold on “growth for the sake of growth,” O’Brien wants Ultimate to lead with gender equity and spirit of the game. Incessant traveler, Chagneux has played at 8 clubs in three countries in her ultimate career so far. She started playing in 2005. Growing up playing the sport has created close friendships with her teammates. She has won the EUCF 2014 mixed division with SUN and got third with women’s team YAKA at EUCF 2017. She came third at the EUC 2015 and fourth at the WUGC 2016 with France Mixed, as well as ending 8th with the French Women’s team at WCBU 2017. First training wearing my TOKAYs, the ground is frozen, it is 2 degrees celsius. We begin with a physical preparation that leads us to jump and jump again. No pain in the back, absolute comfort for my feet who suffer continuously in the usual shoes. Second out of the shoes, selection weekend for the French team … 10h of cutting, the TOKAYs allow me a nice grip, nice races and no pain. 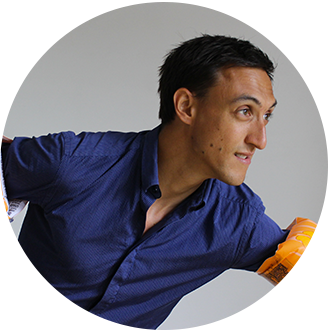 They are comfortable, effective and light. Since the TOKAYs haven’t left my feet, I just love them! 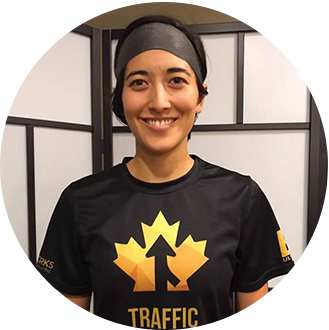 Playing since 2004, Kawabata is a current member of Vancouver Traffic with which she finished 6th at the 2017 USAU Club Championships. She has also competed with Team Canada three times at the U19, U23 and World Games levels. Playing on the 2010 U23 women’s team was when she truly fell in love with the sport; a sport she continues to love mostly because of the community’s deep appreciation of respect and equity. 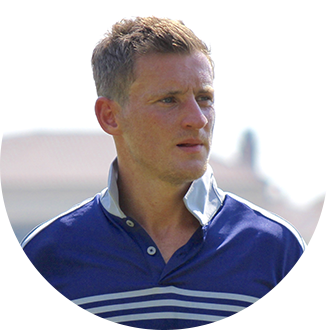 With Bauhaus Ultimate since 2006, Phillips coached the team from 2011 to 2017. 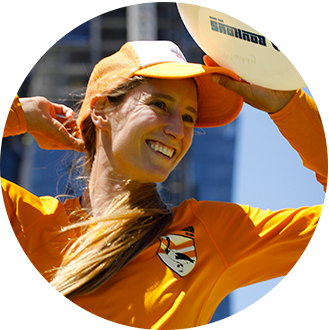 She has competed with several club teams internationally as well as the Australian national team (WUGC 2008, WU23 2010, WUGC 2012, World Games 2013, WUGC 2016). Her time overseas resulted in a 2nd place with HUCK at Japanese nationals 2013, and a 1st place with Revolution at Colombian Nationals 2017. She was head coach for the Australian U24 women’s team that won bronze at WU24’s 2018. We want to extend, as always, a huge thanks to those members of the ultimate community that supported the kickstarter. With backers across 5 continents, you have all helped to make this project a reality.